As a local business owner, you understand the critical need for marketing to build brand loyalty, bring in new customers and combat the competition. You also have your pick of advertising agencies in Madison, WI to help you achieve your marketing goals. Sure, some companies offer less-expensive solutions, but it’s important to keep in mind what you’re getting in return. You only want the best for your business, and we do too. Contact your Madison marketing consultant today to reach up to 130,000 households throughout Sauk, Columbia and Dane counties. Reach out to your marketing consultant at Valpak of Madison to determine the best audience targeting and direct mail format for your business. Valpak’s team of social media marketing consultants in Madison can help you build and manage your social media presence to turn fans, followers, likes and retweets into sales. We stay on top of digital trends, consumer spending habits and the newest technologies to ensure your social media campaign stays on-target and continues to provide your business with quality customers who spend money. Services are based on the package and platforms (Facebook, Twitter) you choose and can include everything from page setup and optimization to content strategy and fan building to business claiming and reporting. What can Blue do for you? Get in touch with your Valpak of Madison media consultant to build or improve your online presence with powerful digital marketing tools and expertly managed services. Regardless of your business industry or budget, Valpak’s targeted advertising can help you achieve your marketing goals. Ready to experience similar success? Contact Valpak of Madison today to schedule a free analysis of your current advertising with a local marketing consultant. 1. Claritas data with current year projections, December 2018. Narrow your Madison, Wisconsin advertising down to the neighborhood level and connect to a wider audience online. Valpak of Madison provides both. Call us about reaching thousands of qualified households in Madison, WI as well as Janesville, Beloit, Sun Prairie, Middleton, Baraboo, Verona, the Dells and other Wisconsin communities. When attorney Rachel Flanagan Frost wanted to expand her law practice beyond referrals and word-of-mouth, she partnered with Valpak because it could target the clientele she was looking for at a cost-effective rate. Each month Rachel advertises her law firm in the Valpak envelope, she notices an uptick in phone calls for initial consultations. Of the people who come in for a consult, 80% or so retain her services, which equates to a significate rate of return on her advertising. Due to continued success, Rachel sees no reason to stop advertising with Valpak and recommends other attorneys, especially those with smaller practices, choose Valpak to get their names out there. 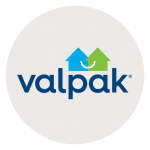 Contact your local Valpak marketing consultant in Madison, Wisconsin to get new clients and provide lift in your online and mobile search results.